William Hill Poker offers an unbeatable online poker gaming experience in terms of guaranteed poker tournaments and bonuses. 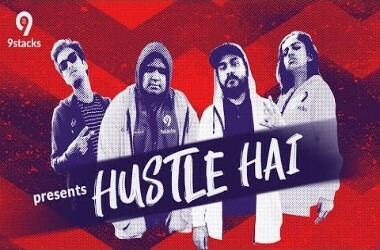 Online poker players can expect gaming services of superior quality at William Hill Poker, the highlights of which are a great VIP scheme and countless lucrative tournaments and promotions. Besides, William Hill Poker runs on sophisticated online poker gaming software and gives top priority to customer satisfaction. 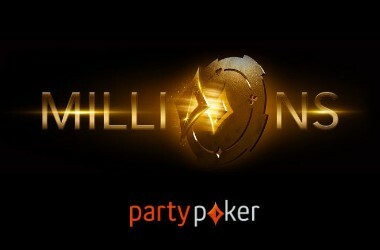 Players can grab their share of more than $20 million in guaranteed prizes given away every month at William Hill Poker. Besides, William Hill Poker is committed to responsible gambling. William Hill Poker welcomes newly registered players with a warm welcome bonus of 200 percent up to £1200. Clearing this bonus is incredible easy as the online poker room releases the bonus amount in increments of £5 as and when players the required number of WH Points. Players need to collect 425 WH Points to have £5 of their bonus dollars credited to their real money accounts. The online poker room rewards players with WH Points whenever they participate in online poker tournaments and ring games. William Hill Poker gives a deadline of 90 days within which players need to clear their entire bonus amounts or forfeit whatever is left of it. As soon as players make their first deposits, they will be given four free seats to William Hill Poker’s $1000 New Depositors’ Freerolls, which provide an excellent bankroll building opportunity. New players can also participate in the New Depositors Prize Freeroll and grab attractive prizes such as Sony Handicams, laptops, Nintendo Wiis, Sony PS3, Canon Digicam G9, and Samsung Omnia phones. William Hill Poker gives top priority to social poker, owing to which it rewards players who refer their friends. Players will receive a bonus of $50 for every friend referred to the site, provided this friend registers a real play account and makes a first deposit of at least $50. What’s more, the friend also gets a bonus of $50, absolutely free. This bonus is released in increments of $5 whenever players collect the required 350 WH Points. William Hill Poker is home to a wide range of popular poker variants such as Omaha High Low, Texas Hold’em, 7 Card Stud and Omaha High in the form of cash games, SnGs, and multi table tournaments. Besides, it is an excellent online poker room for beginners because of its excellent Poker School, where new players are taught how to play poker. 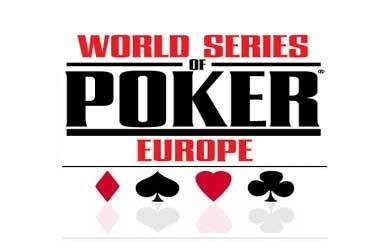 The Poker School also comprises useful features such as a glossary of poker terms, poker tournament tips, advanced guide to poker odds, and heads up tournaments. 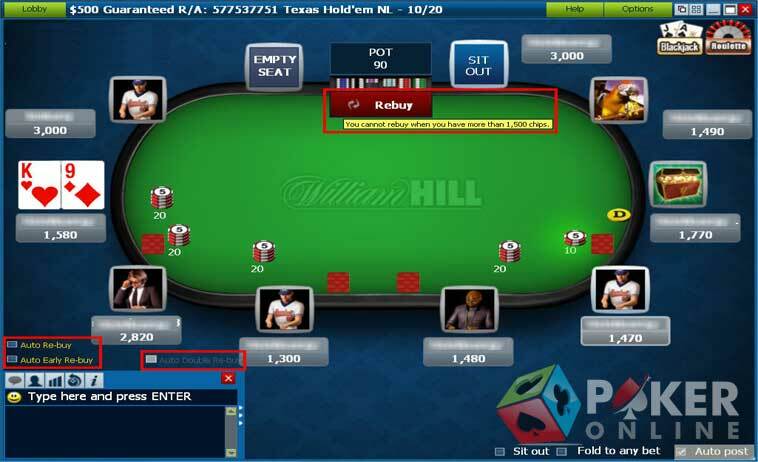 William Hill Poker is also a great place for online poker tournaments, and players can choose from lucrative tournaments such as the WSOP Side Games Freeroll, the Super Series, guaranteed tournaments, points tournaments, and others. Worth mentioning are the Sunday $200k Guaranteed Tournament played on Sundays at 18:00 UK time, the Friday $60k Guaranteed Tournament played on Fridays at 20:00 UK time, and the Saturday $40k Guaranteed played on Saturdays. The most wonderful thing about these three tournaments is that players can win free seats by participating in qualifiers, which are held throughout the week, either free of charge or for very affordable buy-ins. The Super Series is another exciting tournament at William Hill Poker, giving players the opportunity to win £13k guaranteed every week. William Hill Poker VIP Club, which comprises 10 levels, rewards players for loyalty and wagering activities. Each of the 10 levels is associated with attractive rewards, and the higher the level, the bigger the reward. 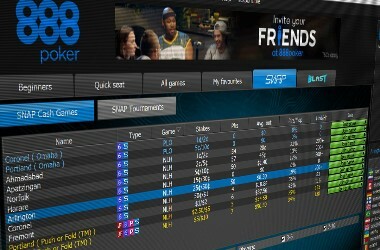 William Hill Poker also runs 3 freerolls every month for VIP players; however, these freerolls are meant for players who have achieved levels two to ten. The VIP rewards program at William Hill Poker is based on the points system. 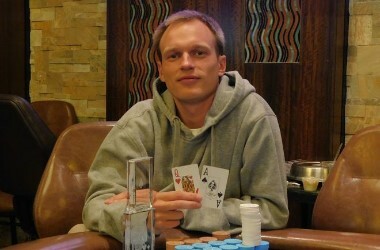 Players simply have to play real money poker to get rewarded with WH Points. These points can later be exchanged for real money. For instance, players can convert 3,750 points for $2.50. Earning WH Points at William Hill Poker is very easy because the online poker room is in the habit of giving a point boost to players who achieve a higher level during a calendar month. 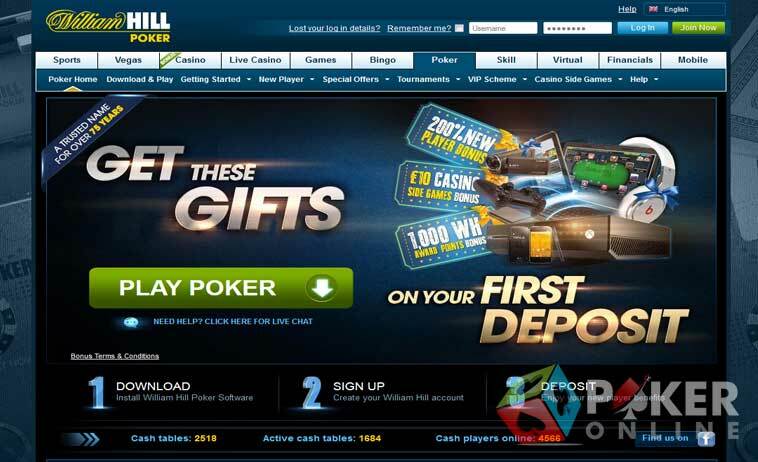 William Hill Poker offers an excellent customer support system, which includes an Interactive Library of commonly asked queries and a Poker School. Players can email William Hill Poker at poker@willhill.com, call the UK free phone 0800 085 6296, or call the North America free phone 011 800 3551 3551.